: well, i was born january 8 1977 and thats when it all started for me... every birthday my cake would say happy birthday sara....and elvis presley! my mom listend to his songs alot when i was in the womb and when i was born and it was night time she would play it at night softly so i'd go to sleep. 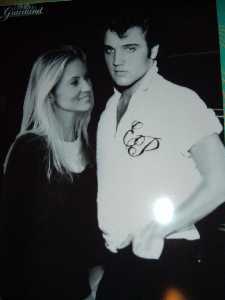 when i got to be alittle older and understood more my mom told me more about elvis and she gave me one of her old elvis records to play on my record player and i loved him ever since! : the way he danced across the stage without missing a beat! he could sing like there was no tomorrow! but i would have to say his voice is what got me hooked its like no other voice heard and when you hear it out of the blue you know who it is!he sang from his heart and you knew it. his voice puts you at ease. 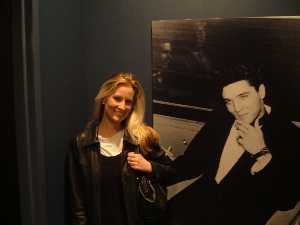 "My Message to Elvis": hmmm.... well i would give him a big kiss!!!! and i would want to let him know how much he's loved! and how much of an inspiration he is in my life and always will. that theres only one king of rock and roll....and thats him! and know one can ever take that away from him! and i would love for him to sing one song for me just to hear his voice!!! : i have alot of favorite songs of his, but i would have to say, stand by me, because he realy pours his heart out and you can feel it! my favorite movie i'd have to say is follow that dream because he's just so cute and innocent in the movie! : my favorite suit he wore on stage is the 68 come back black leather suit and his gold suit. : well i know he loved his family! its realy hard to say because he loved his mama!! no one could take her place!! 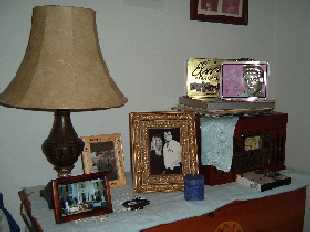 but he also loved lisa marie and priscilla very much also! : well i was only 7 months old when he passed so i was probably getting into something and geting into trouble or taking a nap. : i think he attracts fans because he's real inside and not fake. he was a giving person with a big heart and full of suprises! he was a fighter and never gave up and inspires you to be yourself not someone your not! and he was very spiritual and always looked ahead! : yes ive been twice! 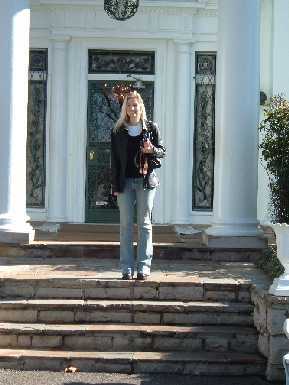 last time i was there was feb. 2 2008 i had so much fun! 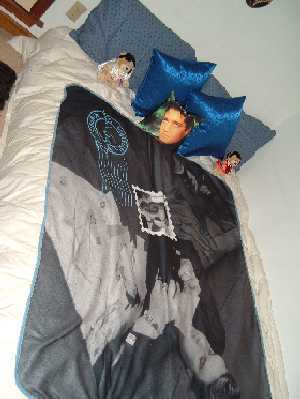 when i walked into his house it was like a dream... and your waiting for him to come downstairs to greet you. when you look around you can get to know what he liked and how he was and how things may have been. but most of all when your walking around in his house you just have this rush of happiness and joy..... and i didnt want to leave but i knew i couldn't stay forever....darn! :: i just want to say that your voice through it all never let you down and forever will your voice be heard through out the universe forever by millions of loving fans and i would've loved to have met you and to sit down and talk to you and tell you how much you have ment to me through out my life. and i would have to have him sing one of his love songs personly to only me! oh and a kiss! 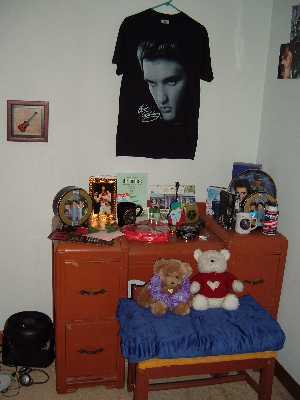 : well im 31 years old and i am a big elvis presley fan and i have a room in my house thats nothing but elvis and that has been my project for a long time! i love to read books and i love to travel and learn things i didn't know. : at this time i donot have any suggestions i think from what i see it looks great! Thank you for your comments, sharing your feelings and experiences with us. 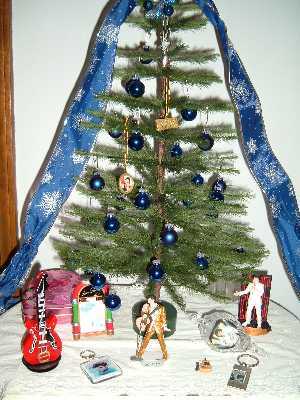 Elvis has had an everlasting effect on our lives; he has left an eternal glow in our heats. His voice is unique, his music is timeless. 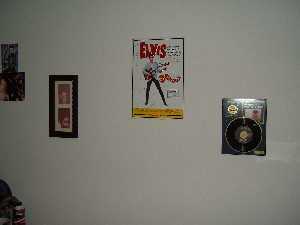 Elvis set the world alive; his actions on stage were always electrifying. Everything about him was sooooo perfect. Elvis sang with so much depth and passion, we know he felt the words he let loose, it was his way of expressing his emotions. I also love him in his black leather! I don`t think there are many fans who would think otherwise, He was stunningly superb! 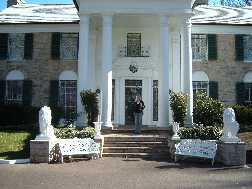 I really look forward to the day I visit Graceland. I`m sure it`s a real connection an indescribable feeling, a memory to treasure. Sara thanks again for sharing the depth of a devoted fans love to a devoted fan.